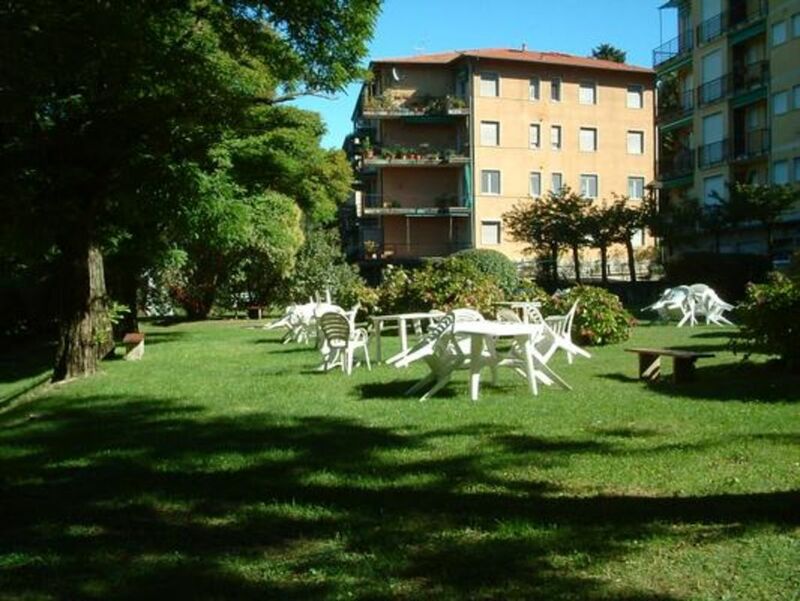 Cerro, a former fishing village, is located directly on Lake Maggiore, has a small harbor, beautiful sandy beach with a large lawn and is freely accessible. Promenade, beach bar-restaurant and children's playground are the meeting place for young and old. 200 meters private road lead from the apartment to the lake. The apartment consists of 2 bedrooms, large living room with balcony and view of the lake and the Monte Rosa mountains, living kitchen and bathroom The apartment is located on the ground floor of a condominium, has a separate entrance and is surrounded by about 3000 M2 green areas, with children's playground, lawns and a volleyball court. Garden furniture and car parking are tenants at leisure. A yacht and sailing club and other recreational activities are in place, as well as grocery shops, restaurants and a bus connection to Laveno (3 Km) .Seerundfahrten to the Borromean islands Isola Bella, Isola dei Pescatore, Isola Madre and boat trips to Switzerland to Locarno are highlights , The Monterosa ski area is for winter vacationers in 1 hour drive reach and Milan and Lugano in Switzerland. A cable car takes hikers from Laveno to the "Sasso del Ferro" from where unforgettable hiking tours can be undertaken. Cerro is a small fishing village on Lake Maggiore with a small port. There are no hotels in the village up to 2 small private pensions. Cerro has always been the exclusive property of the Milan elite here has its summer residence. This can be seen on the unique villas, some of which come from the 18th century. In Cerro Also a very exclusive German sports club is a large sports complex. Cerro is a district of Laveno Mombello which 3 Km north is on a lake. Two railway stations guarantee train services in Switzerland and in the whole of Lombardy. A ferryboat enables more than set of Laveno at the west shore of Lake Maggiore in Intra. Laveno is also the starting point for all lake cruises to the ships.